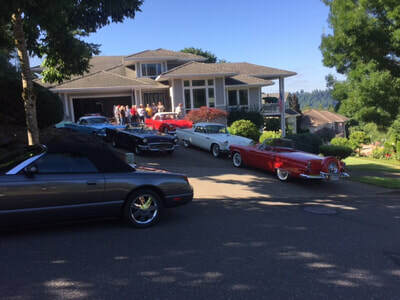 The club met at Marilyn and Al Hillier's home July 8th. 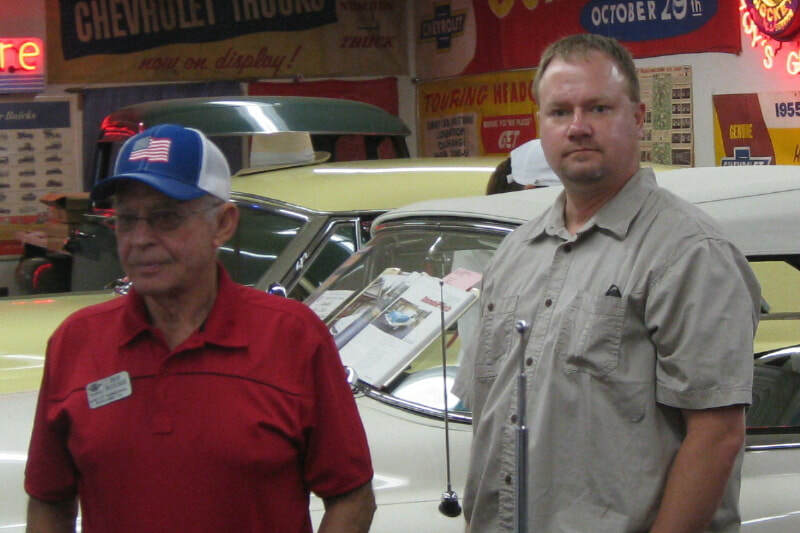 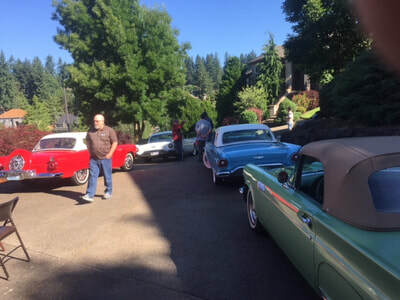 After enjoying some donuts and fellowship, the group caravanned to a local car collection in Gresham. 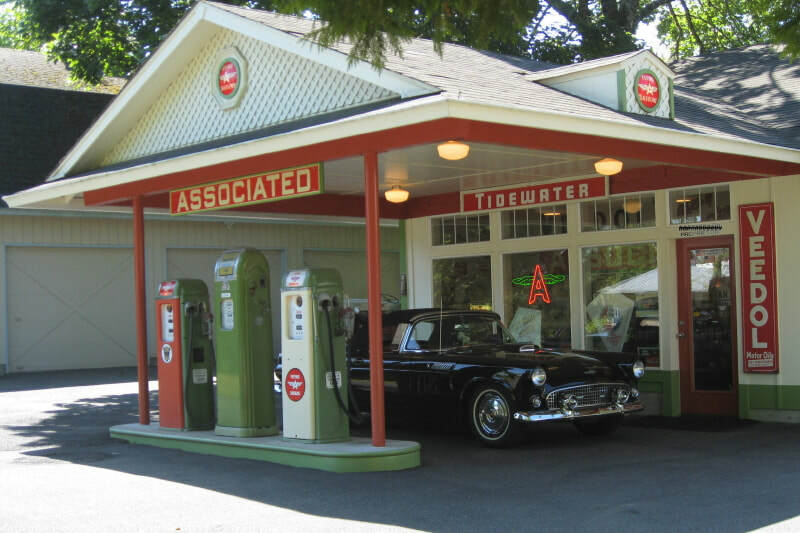 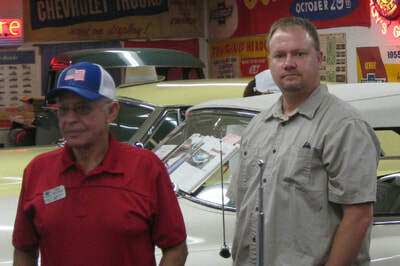 A high school classmate of Al's has developed a terrific collection of classic cars he has restored and/or kept in their original condition. He even built a separate building to display the cars. 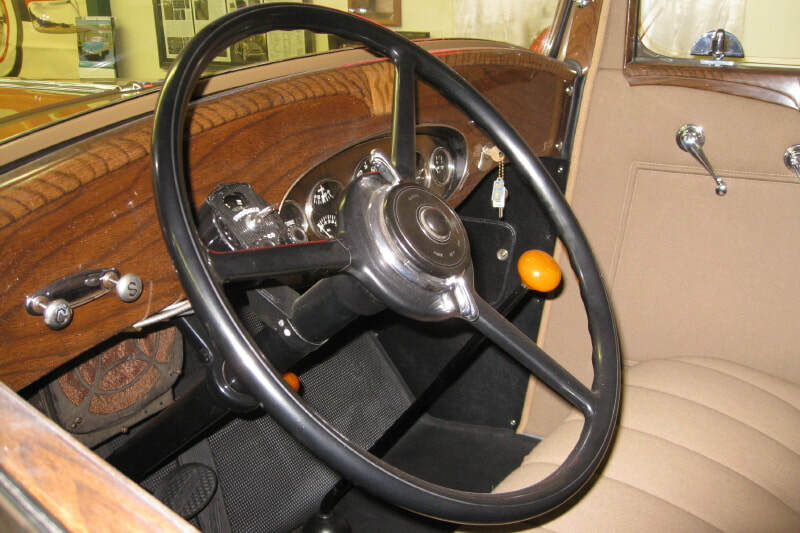 There are 17 cars on display in the building, several of which have placed, first, second and Best of Show at the Concours d'Elegance in Forest Grove. He also has two more in his shop he has started to restore. 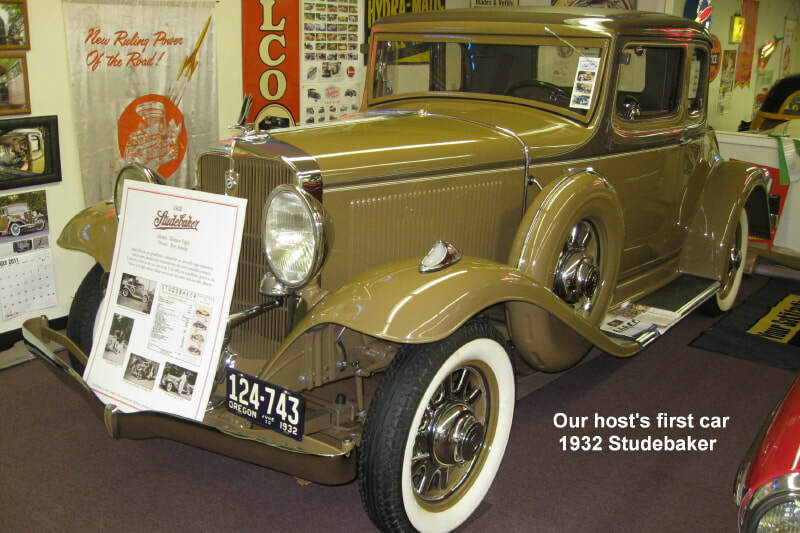 His first car, a 1932 Studebaker his grandfather gave him to drive to high school, is a particularly beautiful restoration. After leaving the car collection the group caravanned to Heidi's Restaurant for lunch. 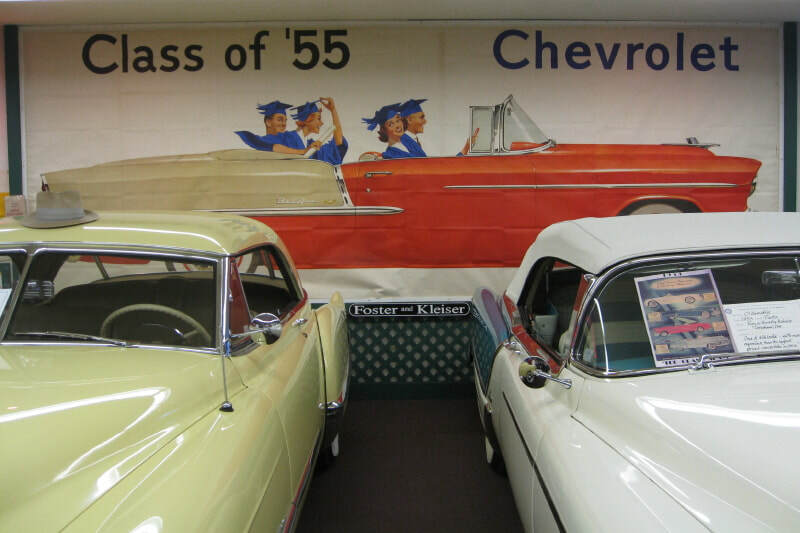 In an odd twist of fate a white '57 Bird, which was not part of our club, got into the caravan and one of our members followed the car until she realized we were not going to go on the freeway before lunch. Her persistence enable her to finally join the group for lunch. 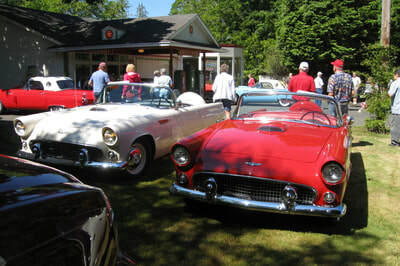 There wee 26 members and 14 cars that participated.